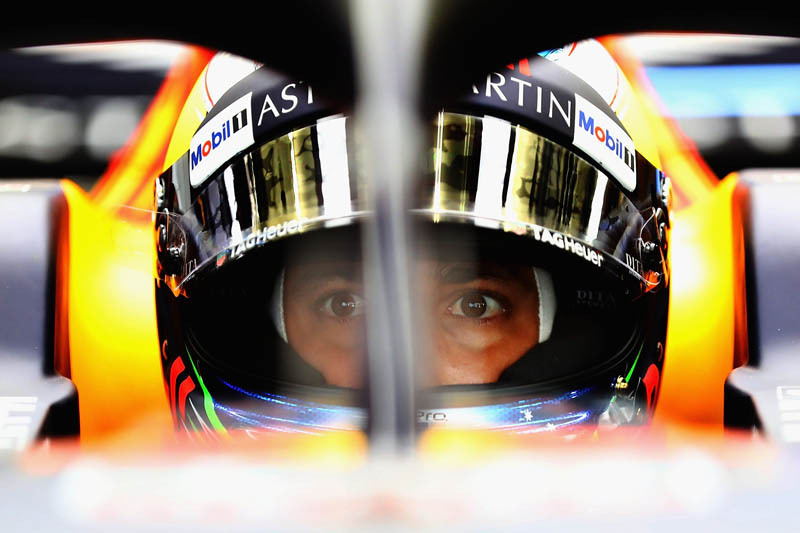 King of the overtakers, Daniel Ricciardo is targeting his fifth podium in Singapore this weekend, hoping that Ferrari‘s tyre strategy in Q2 is a sign he can make up for his own poor Q3 performance. While attempting to qualify on the ultrasofts, Ferrari soon came to realise – not least courtesy of some forthright radio feedback from Kimi Raikkonen – that it would not be possible, as a result the Finn and his teammate will start today’s race, like everyone else, on the pink banded rubber. The move to hypers from the Italian team, has offered Ricciardo hope. “I have optimism in that Ferrari tried to get through Q2 with ultras,” he told reporters. “That tells me they didn’t want to start on the hypers so they may run into problems. “It’s going to be so hard to overtake,” he admitted. “I don’t want to say it’s impossible, but strategy is going to be our best option. Being out of track position, the reality is pushing on someone and being able to overtake is slim.